Are you a…lover…mother…painter…ice skater…map maker…doer…giver…decorator…food lover…champagne drinker…island hopper…reader…writer…dreamweaver…or believer? I ran across this Abraham Lincoln quote the other day. Although I’ve seen it before, this time I stopped and gave it some thought. Of course, we all want to be good at something, and most of us strive to be the best in our careers. But what if we really stepped it up in all aspects of our lives, turned up the volume, and amplified the goodness in everything we did? How much better could make ourselves? How much better could we make the world? 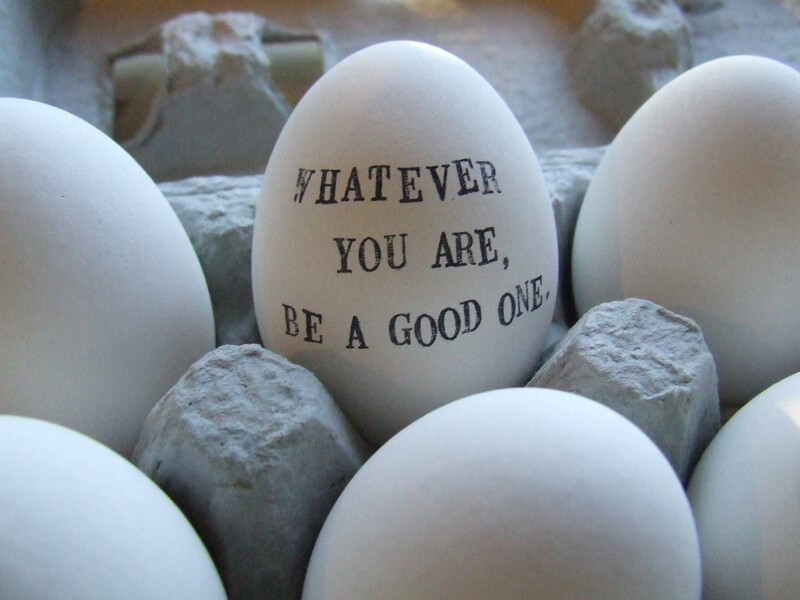 Here are a few ideas how you can be a “good one” every day. Be a good bedmaker. Take a extra few seconds and pull the sheets a little tighter and give the pillows an extra fluff. It will be all the more appetizing to jump back in at bedtime if it looks fresh and crisp. Be a good friend. Take a minute to text or email a friend and pay them an unexpected compliment. Tell them something that you love about them. You’ll make their day! Be a good note writer. Did someone go out of their way for you? Did they cook you dinner or buy you a great book for your birthday? Send them a handwritten thank you note. It’s an old fashioned gesture that many people have forgotten. And if you write it on pretty stationery, you’ll get bonus points for having good taste. Be a good customer. Do you see the same cashiers and servers at your favorite shops and restaurants? Take a few minutes and ask about their family and their passions. You’ll be surprised how much you don’t know about the barista who makes your morning latte. Be a good shopper. This is an easy one that many people ignore. Treat the store as if it were your house. If you pick something up, put it back where you found it. Don’t leave it on a random shelf three aisles away. And, this is a big one – if you try on clothes, hang them back up on the hangers. Leaving the dressing room in disarray shows you have no regard for the salespeople. Be a good commuter. All this takes is patience and an understanding that everyone is trying to get somewhere. If you live where cars are the primary mode of transportation, don’t be a jerk behind the wheel. Don’t cut people off. Don’t pretend you don’t see that they’re trying to get in your lane. If you live where taking the subway and walking is the way to get around, less eye rolling, pushing, and rushing by would go a long way in making everyone’s day better. Think about this – there’s a good chance you’re being caught on video (e.g. red light camera, street camera, someone’s iPhone). If you saw the video, would you be embarrassed by how you acted? Be a good dreamer. What do you dream about? Are you dreaming big enough? When it comes to dreaming, make it worth your while. Spend some time every day living in your ideal fantasy world. Close your eyes, visualize how you look, where you live, and what the air smells like. See yourself doing exactly what your heart is whispering for you to do. Now take out your journal and write it all down. Dreams this good deserve to be preserved. This entry was posted in Inspirations on April 14, 2014 by Karena. Well writen again, my dear. I love reading anything you write. Reading it makes me feel like you’re getting the words out for me. Thanks for being you!